Christopher Polvoorde, a So-Cal local, always looks forward to racing in front of friends and family. 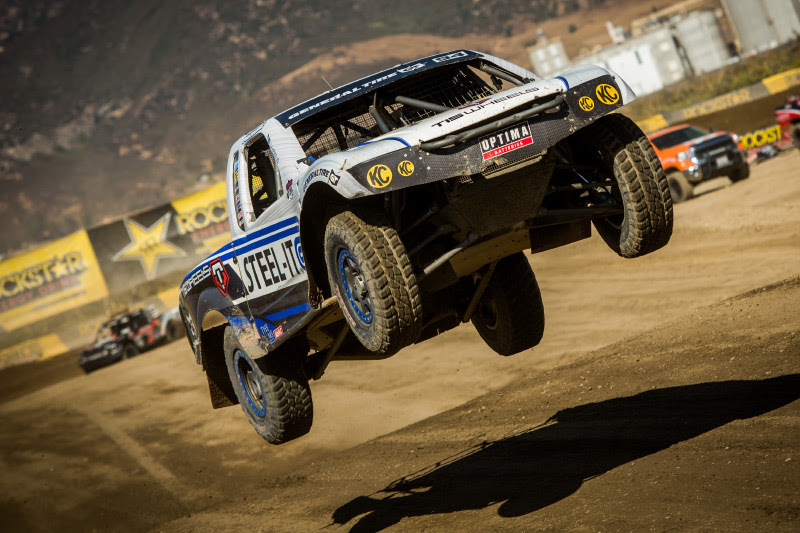 Rounds 9 & 10 of the Lucas Oil Off Road Racing (LOORRS) at Glen Helen Raceway provided the perfect venue to gather fans of short course racing, close & extended family and even make a difference in a special little boy’s life. The racing was close and competitive, with Polvoorde hustling for a 6th place finish on Friday Night, and improving for a 5th place finish on Saturday. The highlight of the weekend, for sure, was working with Make-A-Wish Foundation of America to grant 13 year old Jakob McGraw the off road adventure of a lifetime. That kind of all went out the window during the first practice session as the track conditions revealed a glimmer of what was to come. Polvoorde’s time was way off the pace and the truck setup was tailored in the opposite direction. In an effort to prepare the track for the night races, LOORRS Officials made significant alterations. The whole area sits in a river bed wash and Glen Helen short course is normally very sandy which will degrade rapidly leaving crazy rough ruts and braking bumps which also make for great racing. Whatever the track crews did made a dramatic change and groomed the course into a slick single line race track. Polvoorde’s crew went to work on the #94 STEEL-IT Pro Lite trying to find a compromise in the handling vs. traction vs. performance. Practice 2 and 3 really did not see any increased speeds, and still the tune was off for qualifying. 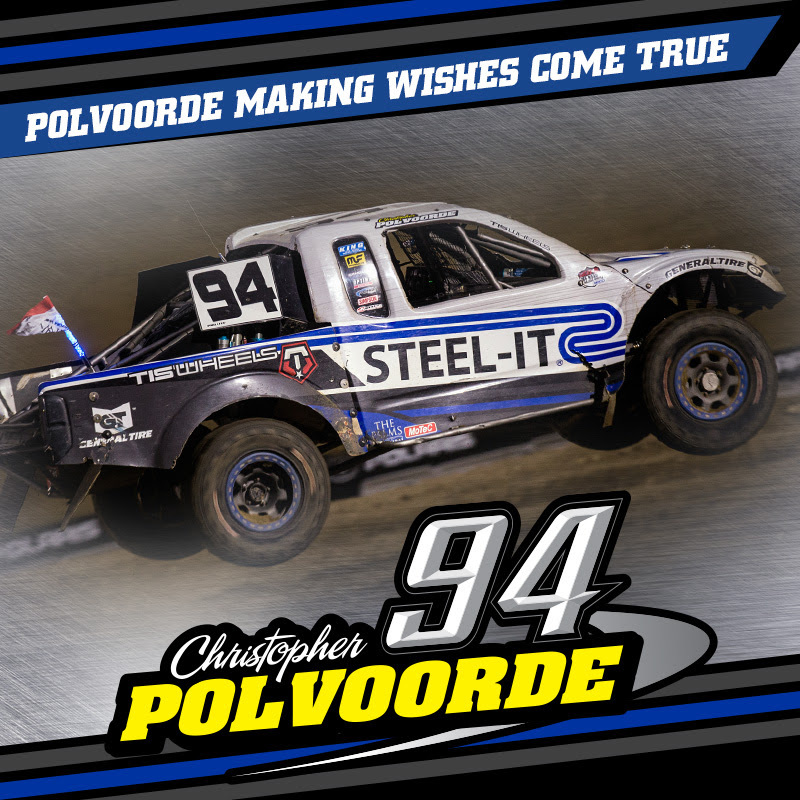 Back in the pits, the Polvoordes made some big changes doing what they felt needed to be done and sent Christopher out for Saturday’s Round 10 qualifying. Unfortunately, that was a debacle with a wet sloppy track and a bunch of yellow cautions. Polvoorde was positioned for only one good clean lap but a mistake dropped him back in the middle of the field. “For Round 10, it was a little better for us,” Christopher stated. 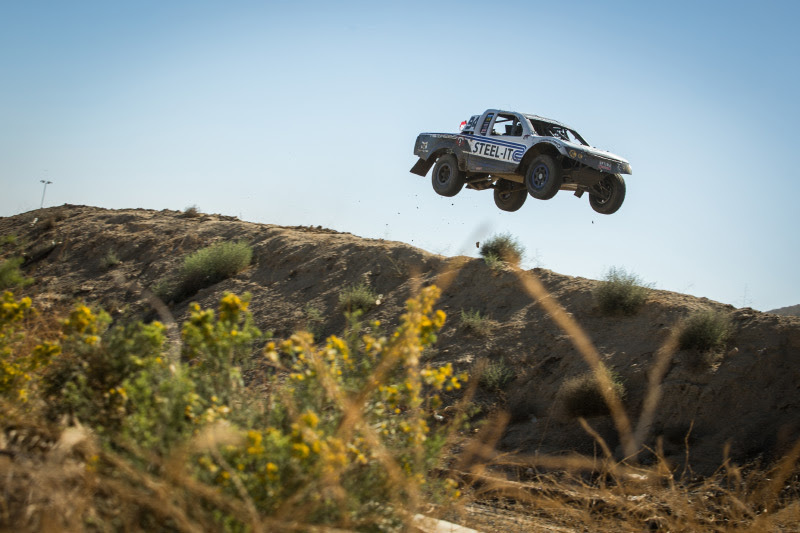 “The race started out crazy as usual with everyone bumping doors and banging bumpers. The track still only featured one racing line but I was going for it racing back and forth with Brock Heger and Cory Winner was dicing it up too. It was just difficult to complete a clean pass for anyone.” Polvoorde started in 6th and finished in 5th place. “Besides the racing, I had the opportunity to do something I am truly grateful for,” shared Christopher. “Joey D contacted us a few days before the race and asked us if we were interested in doing something that would make a positive difference in someone’s life,” explained Christopher. 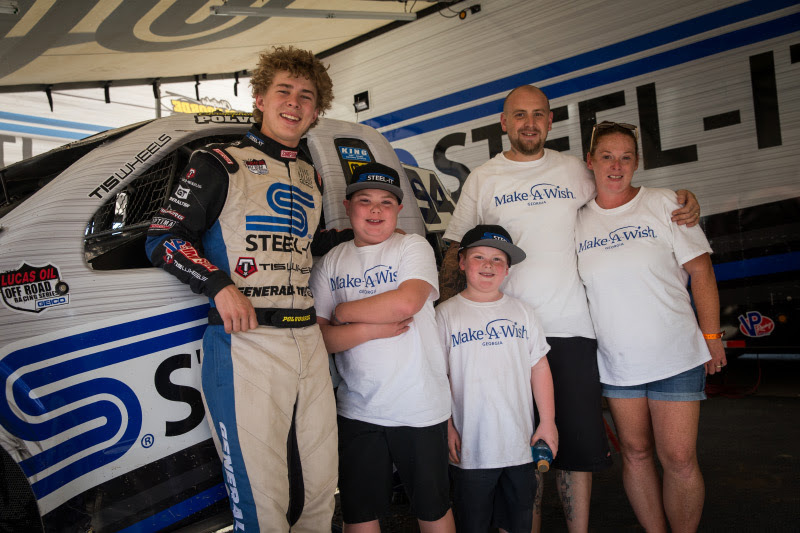 “I heard the story about Jakob a 13 year old who went through a total heart transplant in 2016 and was selected by Make-A-Wish Foundation of America to attend the Lucas Oil Off Road Races with his family.” That sounds cool enough right! Little did he know there would be a Ride-A-Long Experience in a full blown 2 seat Pro Lite Off Road Race Truck. “We had tough weekend of racing and this experience had my attitude turned around realizing how lucky I was for this opportunity and making a positive contribution to someone not as fortunate. I would like to thank Make-A-Wish, Joey D, Lucas Oil Off Road, for setting all of that up. I also have to recognize STEEL-IT Coatings, TIS Wheels, and General Tire for all they do for our program. We will take another Top 5 Finish. Anything can happen in short course racing and we have some opportunity to make a few points. 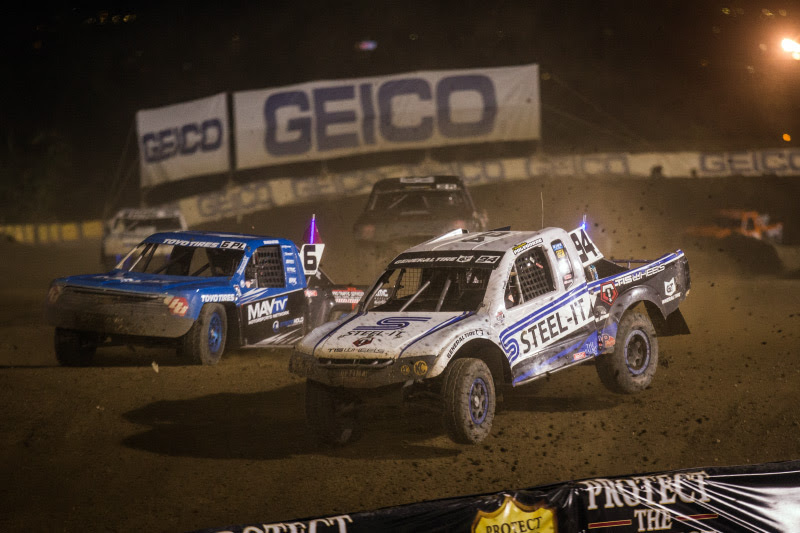 It is time to do some homework and really go for it.” Round 11 will take place in Chandler, Arizona at Wild Horse Motorsports Park on October 20. 17 year old Christopher Polvoorde is constantly on the move. When he is not racing short course in the Lucas Oil Off Road Racing Series (LOORRS), he is training and competing cross country on a mountain bike. An academic over-achiever with a 4.5 GPA, he is a quick study on the track as well. He earned the 2014 Modified Kart rookie of the year title. 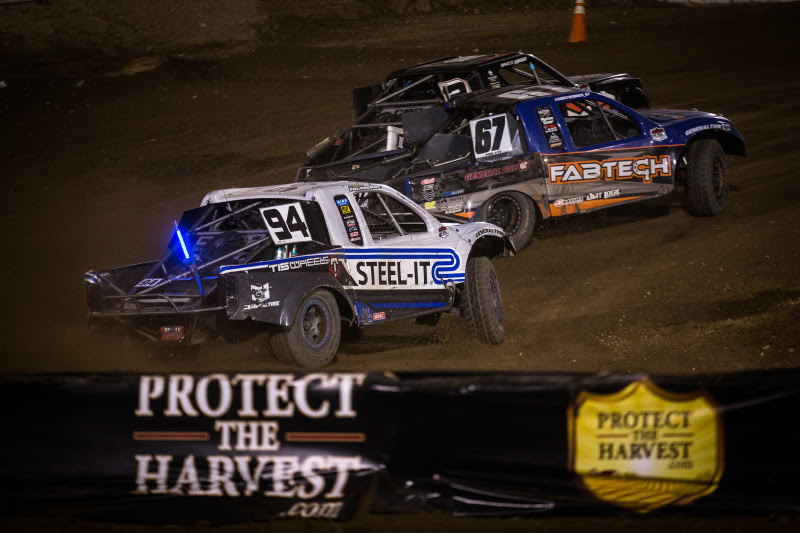 In 2015, he surpassed that by winning the LOORRS Modified Kart Championship and a TORC series World Championship trophy at the birthplace of short course racing; the “Big House” in Crandon, Wisconsin. Racing his Mod Kart in 2016, he won both the Lucas Oil Challenge Cup race and a second world championship in Crandon. 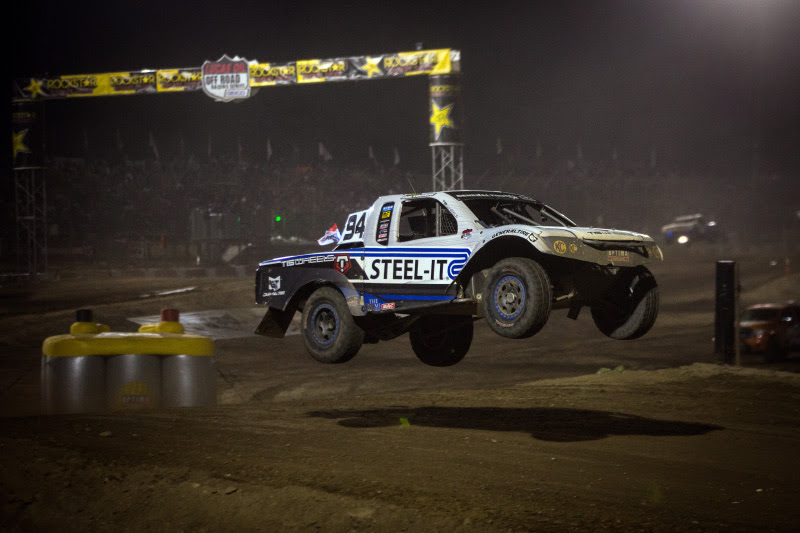 In 2017 he won the Lucas Oil Rookie of the Year title in Pro Lite. 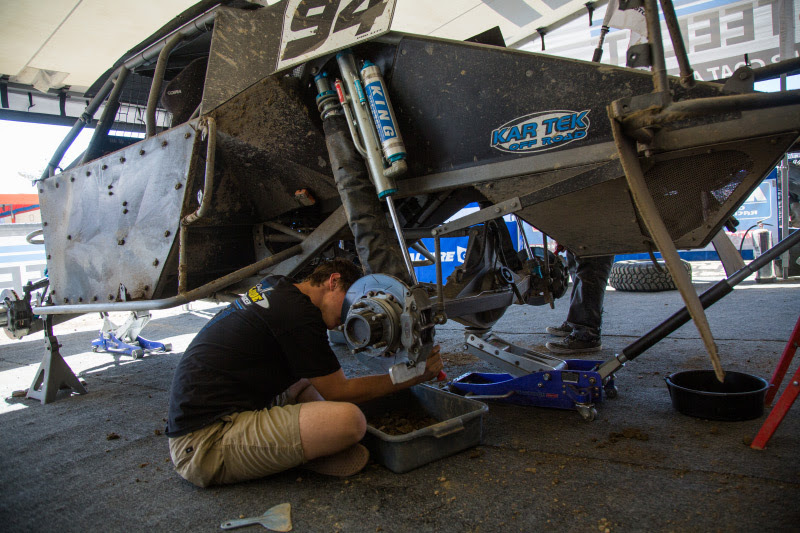 When he is not racing or studying, Christopher enjoys working in the race shop, snowmobiling, RC car racing, and skiing. In 2018, he will be racing towards a championship in the ultra-competitive Pro Lite class.